Looking for foreign education consultancy firm in Dhaka ? Find a list of top overseas education consultants in Bangladesh. Foreign education consultancy firms or study abroad agency Bangladesh. Study Abroad Consultancy Agents in Bangladesh. Study Abroad Agents in Bangladesh. Study Abroad Agents in Bangladesh. Study Abroad Consultancy Agency in Bangladesh. One of the top and reliable student recruitment and higher study consultant in Bangladesh. Study abroad consultancy and university representation for Australia, Canada, New Zealand, UK, USA & immigration consultancy for Australia and Canada. Karwan Bazar C/A, Dhaka 1215. Phone : +88-02-9111234, +88-02-8125266, +88-02-9127404. One of the oldest foreign admission consultancy firm in Bangladesh for more than 23 years. Innovative is the founder member of FACD-CAB (Foreign Admission and Career Consultant Association of Bangladesh). Innovative represents more than 160 colleges and universities worldwide. Specialties : FOREIGN ADMISSION AND CONSULTANCY, IMMIGRATION, IELTS PREPARATION etc. Bangladeshi student consultancy firm offers overseas education counseling for UK, USA, Canada, Australia, New Zealand and Malaysia. NHP Education Consultants represents some of the prestigious universities in United Kingdom, United States, Canada, Australia, Malaysia and New Zealand. Bangladesh Malaysia Study Centre Ltd.
Malaysia Student Visa consultancy and university representative in Bangladesh. A popular student consultancy firm in Dhaka for study in Malaysia for Bangladeshi students. Country : UK, USA, New Zealand, Canada. Country : USA, UK, Canada, New Zealand, Australia, Germany, Cyprus, China & Malaysia. House # 01, Road # 01, Dhanmondi, Dhaka-1205, Bangladesh. Bangladesh based educational consulting firm for study abroad process for Australia. Other countries are Canada, New Zealand and USA. Services includes assistance for admission and related services in foreign Universities and Colleges. Represents some universities in UK, Canadian colleges, study in Sweden and many more. N&N Int. 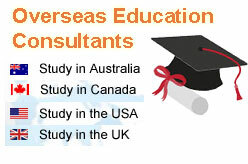 Education Consultancy Ltd.
Country : Australia, USA, UK, Canada, Holland and Malaysia. Panthapath, Dhaka – 1205, Bangladesh. Bangladesh based educational consultancy for students who are looking for study abroad, study in Germany, Study in Austria, Study in Poland and study in USA, China, Malaysia, Russia. If you are looking for admission in the top universities worldwide then Global Study Ltd. could be one of the best consultancy firm in Bangladesh. 1 Mintu Road, Dhaka, Bangladesh. East Darga Gate, Sylhet-3100, Bangladesh. One of the leading foreign education consultants in Bangladesh. 95 Green road, Farmgate, Dhaka – 1215. A multinational consultancy firm operating in Bangladesh. Representing worlds top universities and institutions. County : UK (16 universities), Australia, Canada, USA, Europe and Malaysia. Country : UK, Australia, New Zealand, Canada, USA, Malaysia, Dubai (UAE). A London based education consultancy service in Bangladesh. Country : UK, USA and Malaysia. 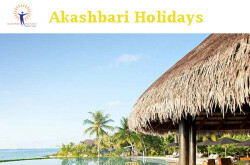 One of the oldest and reliable study abroad agency in Bangladesh. Authorized representative of colleges & universities of New Zealand, Australia, Singapore, Malaysia, Ireland, UK, Switzerland, Ukraine, Canada, USA and so on. Phone : +88 02 9554696,9572174,7160652. Branch Office : Chittagong, Sylhet, Khulna, Rajshahi & Bogra. Road # 9/A, Dhanmondi, Dhaka – 1209, Bangladesh. Services : student admission and study support, migration services, IELTS coaching. Chairman Bari, Banani, Dhaka 1213, Bangladesh. A student consultancy company helping Bangladeshi students to get admission into Universities worldwide. Country : UK, USA, Australia, Canada. Well known and dedicated for the students & well-organized in consultancy for the students benefit to process their visa application. Suite # 357, Kazir Dewri, Chittagong, Bangladesh. Bangladeshi student consultancy firm since 2000, when TPNL started its business as GESA, now it is known as TPNL. One of the trusted name in the study abroad consultancy industry in Bangladesh. Block D, Banani, Dhaka – 1213, Bangladesh. O,R, Nizam Road, GEC, Chittagong. An overseas educational consultants for study abroad agency located in Dhaka Bangladesh. Education consultancy firm in Dhaka. Mirpur 2, Dhaka 1216, Bangladesh. Student visa & visit visa consultancy company in Dhaka. Country : USA, Canada, UK and New Zealand. Study abroad consultancy, university admission and visa processing consultancy firm in Dhaka, since 2010. Country : Ireland, Cyprus, Czech Republic, Malta, Sweden, Romania, Russia, Belarus, Poland and more. 33 Topkhana Road, Press club, Dhaka-1000, Bangladesh. Higher education placement and student visa consulting agency in Dhaka, Bangladesh. Countries : USA, CANADA, LITHUANIA, IRELAND, UK, AUSTRALIA, GERMANY, MALAYSIA, ITALY, AUSTRIA, NEW ZEALAND, RUSSIA, NORWAY, SWEDEN, HUNGARY, CHINA, NETHERLANDS and DENMARK. Razia Plaza( 7th floor), 184, Shenpara Porbata, Begum Rokeya Soroni. Mirpur 10, Dhaka-1216, Bangladesh. Countries : Canada, Australia, UK, China, India, Germany, Norway, Denmark and South Korea. Page updated : 6 April, 2019.